There are 17 posts tagged qt (this is page 1 of 3). I recently had a customer describe some very random crashes with my software. There didn’t seem to be a pattern or a way for me to reproduce the problems locally to debug them. So my first thought was to get him to install a version with some kind of crash reporting tooling so I could get a stack trace to help track down the issue. I’d looked into implementing some form of crash reporting quite a while ago, but it was never a very high priority for me because I don’t get a lot of bug reports. In this case though it seemed like it would be easiest if I could produce a version of my software with some built-in stack tracing. The most promising were BreakPad (older) or CrashPad (newer) from Google. From what I understand, Breakpad no longer works on macOS which is why they switched to CrashPad. Unfortunately CrashPad doesn’t handle 32-bit MinGW builds. The reason I’m stuck with the 32-bit version is that Qt currently ships its MinGW builds of the libraries and toolchain using the 32-bit MinGW 4.9.2 compiler. So after a lot of searching and piecing things together, I’ve created something that works and fits my criteria. It’s very simple – all it does is save the stack trace to a file that the user can send me – and requires some instructions to the user to work with it. If I wanted to get fancier I could have it automatically post the information to a web server, but for now this is simple and it works. It might work on Linux too since the code path for macOS should be POSIX compliant, though I haven’t tried it. It could also be extended to handle MSVC compiles (or maybe it already does! ), but I don’t use that compiler so I can’t test it. I used many different sites in my search, but my primary sources were Catching Exceptions and Printing Stack Traces for C on Windows, Linux, & Mac by Job Vranish, Printing a Stack Trace with MinGW by Daniel Holden, and the C++ name mangling article on Wikipedia. I was inspired while watching a talk by Kevin Ottens about refactoring OpenGL code in Qt to take a look at gcov & lcov. gcov is used to analyze code coverage – which lines of code have actually been executed while running an application. lcov is a tool that can produce HTML reports from the gcov output. 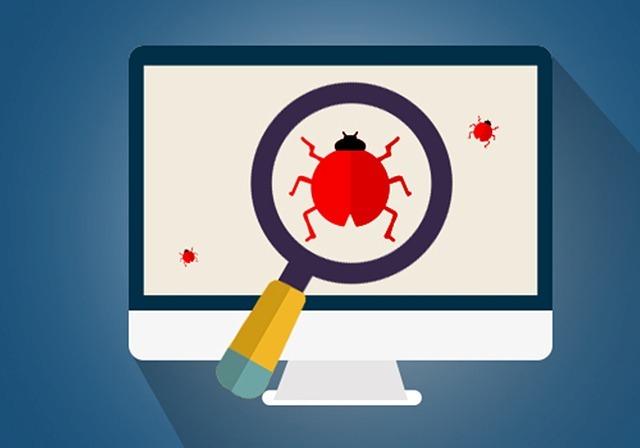 If you have a suite of unit tests that you run on your code, you can use these tools to see which the lines of code are covered by your tests and which are not. I couldn’t find a decent primer on how to set this up properly for my Qt projects on macOS so I could run it from Qt Creator, so I thought I’d write up how I did it. I have an old codebase I started writing using the Qt 3.x framework—a little while before Qt4 was released. It’s still alive! I still work on it, keeping up-to-date with Qt and C++ as much as possible, and I still ship the product. Over the years I have moved the codebase along through Qt4 to Qt5, and on to compilers supporting C++11. One of the things I’ve sometimes found a little excessive is declaring slots for things that are super short and won’t be reused. Thanks to C++11 lambdas and Qt’s ongoing evolution, these short slots can be replaced by a more succinct syntax. This avoids having to declare a method in your class declaration and shortens your implementation code. Both desirable goals! Several years ago I wrote a short piece on QSignalMapper to give a quick example of how it can be used. Since then, Qt5 has been released and C++11 is now A Thing. This means we can use function pointers instead of the old (char *) based method. One of the big advantages of using the new method is that it can check signal/slot connections at compile-time instead of only at run-time. If the signature of either the sender or receiver changes the code will fail to compile. (If you are using C++11 and like to write “clever” code, you can now use lambda expressions as well!) There’s a decent overview of the new method in this blog post by Olivier Goffart. I recently started updating my aging codebase to Qt5 and C++11 and one of the things I’m changing is all my connections to use the new format. I ran into an issue almost immediately that I thought I’d document in case I can save someone some time.